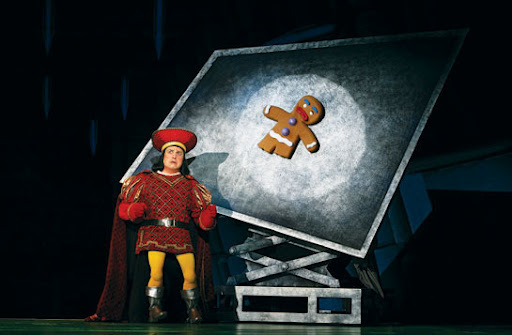 There are a lot of children who will go to see Shrek the Musical and will love it. And then there are a lot of adults who will go — with or, in my case, without children — and will wonder why this is a Broadway show at all and not an attraction at Universal Studios. Because while Shrek the Musical is a colorful, cute, and mostly enjoyable show, it doesn’t belong on Broadway. With top tickets costing more than $100, you half expect to get some rides with your admission. 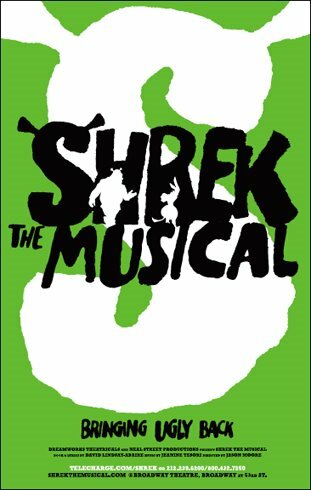 This theatrical adaptation of the Oscar-winning animated film (which officially opens on December 14) tells the same basic story as the film: Shrek the ogre just wants to be loved. But it tries to deepen that plot by adding a heavy-handed message about tolerance and acceptance. Now, for example, not only are all the varied fairy tale characters like the Three Little Pigs and Pinocchio outcasts and comic relief, but they also have identity issues — here celebrated in a song called “Freak Flag,” which calls for tolerance. This can be funny, until you start to hurt from being hit over the head so many times with the same themes. I mean, Milk has a similar message, but it’s communicated in that film in a much more subtle and graceful style. On the good side, the songs here are more tuneful and memorable than those in, say, Young Frankenstein, and the sets and costumes are colorful, fun, and totally appropriate given the source material. Daniel Breaker, who plays Donkey, has a great singing voice and I enjoyed his songs — even if he makes the character more effeminate than Eddie Murphy’s version was (are you picking up a trend yet?). Christopher Siebert plays the diminutive Lord Farquaad mostly by standing on his knees, a gag that generally works pretty effectively. As a result, Farquaad’s scenes are some of the funniest ones in the show. I also enjoyed some of the in-jokes about shows like The Lion King and Wicked. But yeah, despite the attempts to broaden the story, Shrek the Musical is nothing more than an adaptation of an animated film. And unlike The Lion King, it doesn’t try to be more that that. 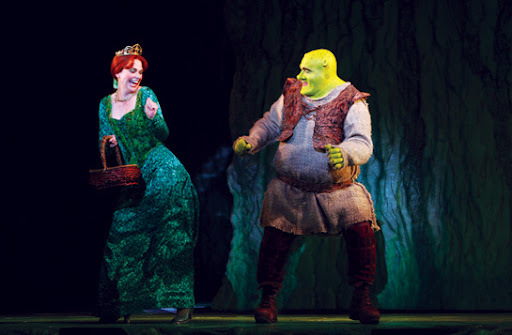 As a result, the show too often strands some very good actors — like Brian d’Arcy James, who plays Shrek, and Sutton Foster, who plays Princess Fiona — with nothing more to do than make some pandering farting and burping jokes, or mimic the well-known film actors’ performances. James even maintains Mike Myers’ Scottish brogue, though not always successfully. After this and Young Frankenstein, I really hope Foster will choose a next role that’s less cartoony and that will be more worthy of her talents, like Thoroughly Modern Millie was. She deserves better, as do most of the other actors here. Admittedly, when I decided to see Shrek, I wasn’t really anticipating an instant classic show. (Why did I see it, then? Curiosity, I guess, and because I’d included it in a recent article.) On some level, when you see a show on Broadway you hope for something with a little artistic ambition. This one just doesn’t have enough. 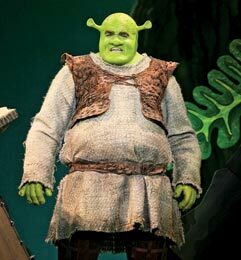 Which is not to say I didn’t enjoy Shrek the Musical. It’s just that I wouldn’t really call it worth seeing unless you’re a child.